Leo Fender’s company changed the course of popular music in 1954 when they introduced the Stratocaster. Since then it has been played by everyone from Jimi Hendrix to Buddy Guy and Jeff Beck. 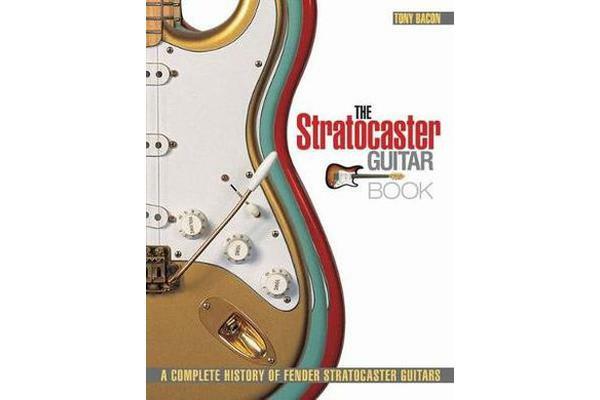 In this book, new interviews with important Strat players from every decade illustrate the Strat’s versatility, playability and continuing importance. The story of the Stratocaster is also the story of the Fender company, from the struggles of the 50s to the new models, retro reissues, and luscious collectables of the 21st century. “The Stratocaster Guitar Book” is three great volumes in one: a compendium of beautiful pictures; a gripping story; and, a detailed guide to every model ever made. It is in the sumptuous tradition of Tony Bacon’s bestselling volumes such as “The Les Paul Guitar Book”. “The Stratocaster Guitar Book” paints a glorious picture of one of the world’s greatest musical instruments, its makers, and its players, and is a must for all guitarists and guitar nuts.